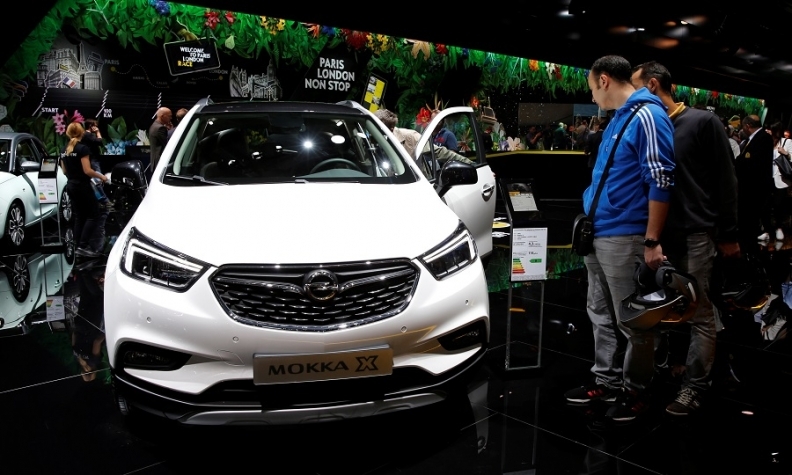 An Opel Mokka X displayed on media day at the 2016 Paris show. Opel/Vauxhall has joined the list of brands skipping the Paris auto show next month, citing a shift to put more emphasis on its own events. The news means that the German brand, owned by France's PSA Group, will be absent from both major European shows this year, having already missed the Geneva show in March. Automakers accounting for almost 40 percent of European sales will be missing from this year’s biannual event in Paris. Absentees include the Volkswagen brand, Ford, Nissan, Fiat Chrysler Automobiles brands including Fiat and Jeep, Volvo, Mitsubishi and Mazda. Luxury brands Bentley, Aston Martin, Rolls-Royce and McLaren also won’t be at Paris. “In terms of the European shows, we are happy with just Geneva in March,” a Bentley spokesman said. The Paris event, whose press days are Oct. 2 and 3, claims to be the world’s largest auto show in terms of attendance, with just over 1 million visitors in 2016, the last time it was staged. It also claimed to have attracted 10,000 journalists. Automakers are increasingly staging their own events to launch new models as a way to get their message out more clearly. The brands complain that information can get lost amid the competing news from high-profile shows. The Paris and Frankfurt auto shows, which alternate every year, also suffer by being the home country for some of the biggest brands. That further dilutes the message of smaller or nonlocal brands. Absentees from the Frankfurt show last year included Peugeot, Nissan, Fiat, Jeep, Volvo and Mitsubishi. The high cost of hosting a stand at a major auto show also has put off manufacturers as they try to maximize investment at a time of strong competition and low margins in the business. In addition, the traditional shows are seeing strong competition from more interactive, outdoor events such as the UK’s Goodwood Festival of Speed or technology shows such as CES in Las Vegas.